Welcome to this sophisticated Pennsylvania Farm House home tucked away on a secluded 2.6 acre lot located in the heart of Chadds Ford. Designed by renowned architects, McIntyre Capron & Assoc, and constructed by respected builder, Megill Homes, timeless classic features are blended with the modern floor plan providing a perfect template adaptable to current lifestyles. An expansive drive leads to the circular courtyard welcoming you to this extraordinary 5 Bedroom, 5.2 Bath home featuring over 7, 500 sq ft on 3 levels. Enter through custom arched double doors into a 2-story Foyer and you will be impressed by 10-ft ceilings, warm walnut hardwood flooring, elegant light fixtures, and extensive custom moldings throughout. Substantial upgrades enhance the elegance of the 1st floor including the spacious Dining Room, formal Living Room w/ gracious fireplace, and a front-to-back entry providing views to the outdoor stone terrace and rear yard perfect for entertaining. The epicurean Kitchen offers granite counters, oversized island, deluxe Wolf stainless-steel double ovens and commercial 6-burner cooktop w/ pot filler, copper farm sink, and custom cabinetry. Butlers Pantry w/ granite counters, wet bar, and wine fridge provide extra space for entertaining larger gatherings. The adjacent Morning Room w/ vaulted ceiling and abundant windows is the ideal spot to start each day w/ scenic views of the park-like rear yard. Casual Family Room w/ stone fireplace and vaulted ceiling will be a favorite gathering space. 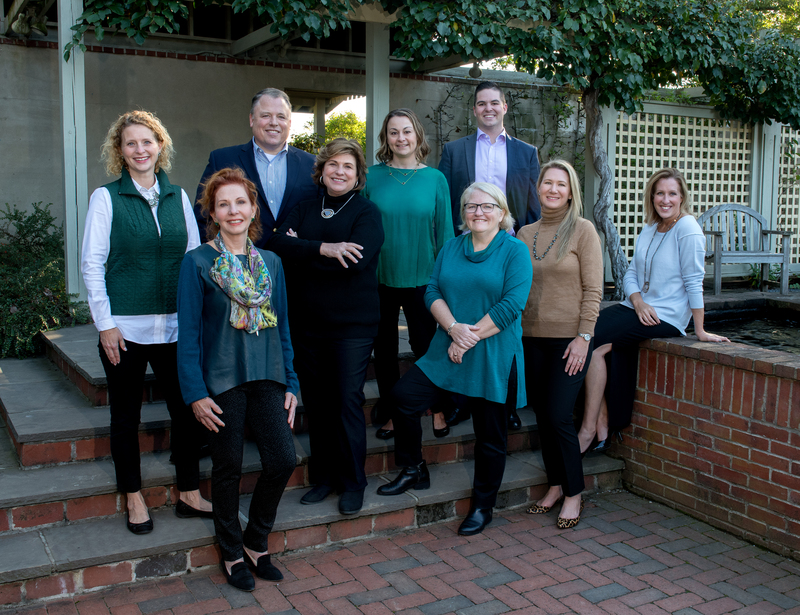 The 1st floor also includes a lovely corner Sunroom w/ French doors and vaulted ceiling, a secluded Office /Study, Mudroom w/ built-in cubbies and desk, and 2 Powder Rooms. Take one of the two staircases leading the 2nd floor and you will be equally impressed with the fine quality of this home. Master Suite features cozy Sitting Room leading to Master Bedroom w/ vaulted ceiling and spacious walk-in closet includes custom organizers. The spa-like Master Bath w/ vaulted ceiling, heated marble flooring, custom ceramic tilework, slipper soaking tub, and oversized walk-in shower is a relaxing retreat. Additionally, 4 generously proportioned Bedrooms, 3 Full Baths-all w/ custom ceramic tile work, and a spacious well-appointed Laundry Room complete the upper floor. Spectacular finished walk-out lower level is perfect entertaining space for gatherings large or small and is flexible for multiple uses. Lower level features huge Games Room space , wet bar area w/ custom cabinetry, granite counters, dishwasher, wine fridge, 500+ bottle wine cellar, and home theatre w/ expansive viewing area. Additionally, the lower level includes a separate Office w/ built-in bookcases, Sitting Room, and Full Bath (potentially could be used as Au Pair or In-law suite). Other fine features include: low maintenance stone and HardiePlank siding exterior (no stucco), 3-car garage w/ electrical wiring for auto charging station, and a breathtaking stone terrace featuring outdoor fireplace, outdoor kitchen grilling area, and custom pergola sure to be a favorite Summertime gathering space. 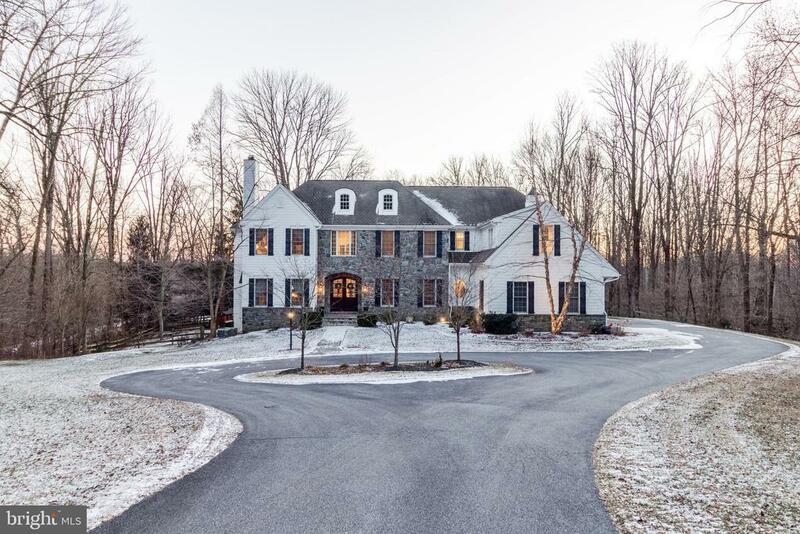 This magnificent home has a country feel yet is conveniently located to all major roadways and is serviced by the award-winning Unionville-Chadds Ford School District.